Exclusive access to the Óðinn and Artist bars. 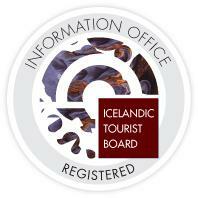 As Óðinn members you will be the only festival ticket holders with access to these areas. Priority access and fast track entrance to all areas of the festival site. Complimentary drinks (including beer and wine) provided at the Óðinn and Artist bars. Complimentary food provided in the Óðinn and Artist bars. You can pick up treats from our custom Óðinn menu onsite during the festival. Óðinn lounge with Óðinn only seating, featuring onsite treatments and vendors. Access to Óðinn only viewing areas (*capacity is limited and subject to availability). Access to special backstage/side stage viewing areas (*subject to artist and availability). Dedicated Óðinn team on hand. Exclusive 30% discount on all side events. Festival camping pass included upon request. Plus everything included in a VIP festival pass.